Does anybody have some road conditions HWY 1 to PSC after the rains? Is it passable with a econoline van? Thanks for you response. The road is probably in pretty bad shape right now after taking a direct hit from Rosa. Usually it just takes a few days to dry out and the locals fill in the washouts or just go around the bad spots. I am headed down next week and I expect it to be fine by then. I recently spoke to Solo and they had a lot of rain and said the road was badly trashed. Only 2 locals have made it out - that says a lot.I would not attempt it in anything less than a solid 4WD vehicle. And it looks like Sergio may be hitting next weekend as well. We're considering 10/12 - 13, but if Sergio is going to hammer the area, we'll probably hold off again. 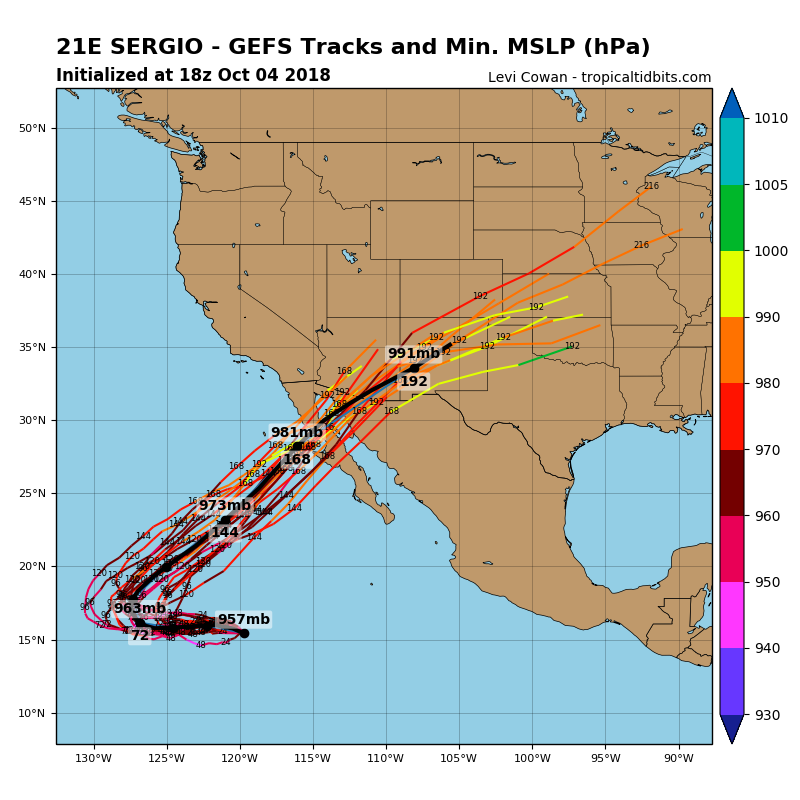 Latest has Sergio hitting Baja notably further south than PSC. I would check the NHC for the projected path and rainfall patterns mid-week. Thanks to all for the reports. They are hard to come by. Over the past few days, the forecast track for Sergio has indeed moved south. The forecast looked even a little further south today than yesterday. The meteorologists nailed Rosa down pretty well, so I have pretty high confidence they're on it here as well. Good luck to anyone who heads down. I hope the wind is on the fresh Sergio waves, and from the right direction. Cheers.